A decade ago radio and television were the main platforms pushing music and artists to stardom, but it is no longer the case as we witnessed a bloodless musical coup with the emergence of the internet that now owns and controls the power matrix in Zimbabwe and the world over. 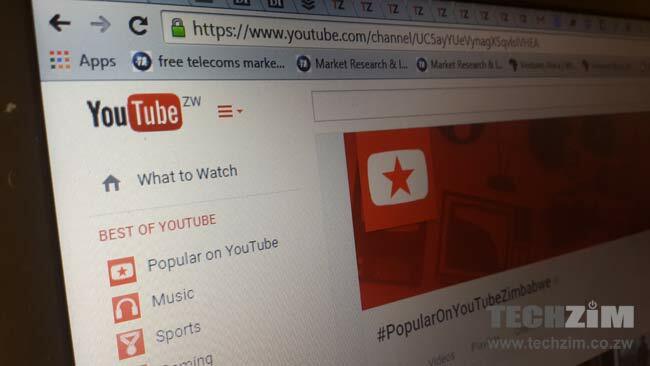 The Google-owned American video-sharing website YouTube has literally taken over control of more than 40% of the world music and video streaming stake. Hasan Minhaj an American comedian, writer, and television host recently revealed in his Netflix programme The Patriot Act that YouTube streaming platform has changed music consumption, becoming the world’s most used platform for listening to music with over 1,3 billion music lovers. Despite the cost of the internet in Zimbabwe, online music distribution has over the past few years gained a lot of traction, wresting control from other conventional means of music sharing, distribution, and consumption. Artistes traditionally relied on record labels, music publishers and managers to market and distribute their works. The music publication and distribution in Zimbabwe was tightly controlled by a few record labels who determined what played on the radio and ultimately ‘who was consumed’. However, with the turn of the digital age, most of these companies such as Gramma, Record and Tape Promotion, Zimbabwe Music Corporation, Metro Studios, Ngaavongwe Records were found napping and were left wondering what went wrong when they did everything right. During this past era, it was difficult if not impossible for new artists, especially urban musicians, to find their way into the studio because of the strict artist and repertoire policies then. The coming in of computer technology in music saw the CD and DVD completely disrupting the space. Government policy through then Information minister Jonathan Moyo which dictated 100% and later 75% local content was the ultimate revolution. New studios emerged, new artists were born, and new sounds were heard on radio, and videos seen on national television for the first time. The huge boom became known as urban grooves and later transformed to what today is now known as Zimdancehall; though this is very debatable in some purist circles, those are matters of semantics. Today, the sound of Zimdancehall literary dominates showbiz and has done so for more than six years now. Initially riding on the back of street music piracy, but now with the hardening economy, internet platforms such as WhatsApp, Soundcloud, Facebook, Datafile Host, Soundcloud, Reverbnation, Spotify, and iTunes are playing a key role in music distribution. Both artists and consumers have the freedom they never had before, freedom to choose a source, selection of music or videos. The internet knows no borders. This power was initially in the hands of the radio and other disc jockeys. You could be wondering why now with 18 radio stations there is barely any of them producing hit songs unlike when we had only four stations. Music chat shows on radio stations have lost the flame to online numerics with YouTube viewership or plays becoming a focal point for ratings. A recent incident with the dancehall singer Winky D and Gemma Griffiths song Mugarden and Jah Prayzah’s Kunerima set a new precedent as Zimbabweans went on a counting frenzy reaffirming the relevance and power of YouTube in the musical discourse. Everyone can now create and manage a YouTube channel, the only limitation is that not everyone can monetize it owing to our restricted financial economy. YouTube is the new radio station, the new television station, the platform to discover stars and grow a career, backed by realistic analytics. We have a lot of amazing artistes who are not getting airplay and most express that they face challenges to get on rotation and when they do manage, royalties seldom come. Artistes such as Obert Chari, Bazooker, Tocky Vibes, Boom Betto, Blot, Jah Signal and many others blew up on YouTube before radio caught up with the wind. Boom Betto only shot into the limelight after the release of the Stage Riddim medley video despite having released the featured song “Munodonhedza Musika” seven months before on the Ghetto Crown King channel. National Arts Merit Award-nominated music sensation Chari is one classic example of an artist who rose through YouTube. Unknown to many, there are fierce battles and wars ragging among YouTube loggers, artists and managers. Bloggers who are mostly Zimbabweans based in the diaspora and have for years built names and a following on their platforms are believed to be making huge money off the music and videos with less or nothing going to artists and producers. Most artists are driven by the hunger and zeal to break through and the elusive lure to perform in the diaspora, they never think of copyright issues and simply want their music to go viral and most have no real managers. The cycle has, however, proven to be rewarding for a lot of artists whose songs blow up on these YouTube channels, numbers swell, gigs start coming and things change altogether. Several artists and at times with their new management often go on to withdraw their music from the blogger’s channel and at times without warning issue a copyright infringement strike, which instructs the blogger to pull down the content and at times posing a threat to the entire channel. A random check with YouTube bloggers revealed that most of them feel used and unfairly treated because they would have contributed to the artist’s career and rise. Artistes, however, believe the bloggers are raking in thousands of the United States dollars for their work through the monetized YouTube accounts while the account holders deny that there is significant money being made and at times no money at all. To unpack this I had an interview with Allan Butterworth, an official from one of the leading online music distributors working with Zimbabwean artists, Jacaranda Media Group based in the United Kingdom. Jacaranda Media Group specializes in the digital distribution, publishing and licensing of music, motion picture and literature for music. It also operates in the United States, Zimbabwe, Tanzania, South Africa, and Latin America. “The artistes on our roster benefit from radio airplay to regional and international charts plug-ins, music video channel submissions to marketing consultancy, distribution, licensing, CD production, wardrobe, lifestyle upkeep to being financially stable,” he said. Butterworth reaffirmed my initial findings on the existence of frosty relations among producers, artists, managers, bloggers and distribution companies. “We have a very bittersweet, but healthy relationship with YouTube channels, bloggers, social media influencers, journalists and event promoters. “We acknowledge the power and influence the above mentioned have and we always take every opportunity to work with them in building an artist brand and reach,” he said. “When we deal with music video directors, YouTube channels who do not respect the contract and sometimes we deal with issues whereby content distributors have uploaded the artiste’s song or project on YouTube starting monetizing the content without consent from Jacaranda Media Group or the artiste and we now have to file copyright injunctions on them. Butterworth said some artists feel that they should receive a lifetime worth of remunerations because they uploaded a song onto their channel or wrote an article or directed a music video for a handshake price. Godfrey Chafudzika, popularly known as Mad Minox the Ghetto Crown King, also confirmed the struggles. “Most artists blow up on their YouTube channels and go on to attract promoters and other revenue streams, but never really appreciate the effort and work put in to promote their music,” he said. Stewart Nyamayaro whose channel is at the center of a dispute with Sly Media TV over content plagiarism said: “I am not making money from the music he shares since their music got content ID from the digital distributor. As far as I know, I am in good terms with all YouTubers except Jungle Entertainment,” he said. There are several most leading YouTube channels promoting new content and artists from Zimbabwe such as Nyamayaro, Jungle Music’s Kosha Management, Digital Chris, Max Nyandoro and Ghetto Crown King, Myoozika and ZimTalent. Will sanity prevail one day or the dog-eat-dog situation will continue to ravage a fledgling industry? Well, the plot thickens. This article first appeared in Newsday on 20 March 2019. Plot Mhako (based in Germany) is an arts promoter, journalist, graphic designer and is the founder of JIBILIKA an arts organization with 12 years promoting dance and youth culture, working to empower the skills and voices of young people in Zimbabwe. He is Co-founder of Kuenda Productions, Mafuwe International Festival of Dance, Zimhiphop Summit, ZimDancehall Summit, Skate Zimbabwe project, founder of EarGround . A fellow with the Mandela Washington Fellowship (Young Africa Leadership Initiative) YALI 2015, International Society For Performing Arts (ISPA) 2016, International Visitors Leadership Program (IVLP) Hip Hop & Civic Engagement Fellow (2012). You can follow him on Twitter.